As discussed in Part One of Branding Your Business, our internal brand is who we are and how we work to meet the needs of our customers. That leaves external branding, which is how we communicate who we are to our clients and prospects. External branding relies on a marketing strategy that communicates your internal brand while showing what sets your business apart from the competition. The marketing term for the perception of your company and what makes you different is called Unique Selling Point, or USP. For example, if your brand includes a message as a leader in technology, you wouldn’t roll out a website that includes mostly pages of verbiage and some photos. Visitors to your site would be expecting to see videos, interactive features, podcasts, social media feeds or whatever they perceive to be leading-edge technology. You then risk the prospect of those visitors never coming back. I recently came across a great-looking website and I was excited to see the site was set-up with a Twitter feed. I clicked on the feed, expecting to receive current information, only to find that the organization had no tweets to display. I even checked out their Twitter page, hoping it was just a glitch, but there were no tweets, despite publicizing their Twitter handle months earlier. Your external brand must be in line with your internal brand just as much as your internal brand must be in line with your external brand. Remember the drugstore example from Part One? When you market your brand, which is who you are and what sets you apart, you must push out your singular message through multiple channels. Every time your organization is publicized, spoken of to others by your employees or visible to your customers and prospects, your singular message should be identified so it becomes synonymous with your company. When your employees are away from the job and someone asks where they work and what their company does, their answer should be the same (although loosely worded) message that exists on your website, in your marketing and public relations materials, on Twitter, Facebook, Instagram, LinkedIn and anywhere else you choose to market. Who needs to brand their business? As I touched on in the overview of branding in Part One of Branding Your Business, branding is not just for companies with thousands or millions of customers who seemingly have limitless marketing funds. Or even – GASP – an internal branding department. 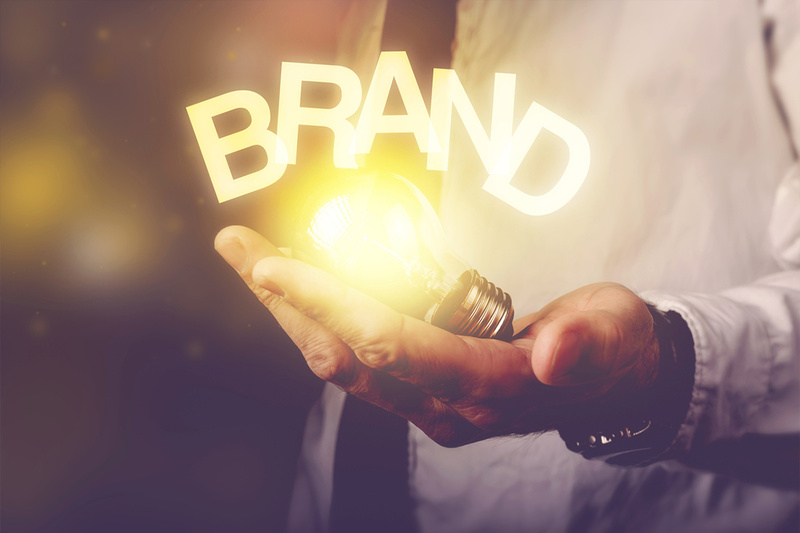 The cost of branding can be nominal, which means all businesses – small, large, non-profit, service providers and more – should be doing it. The return is immeasurable. I’ll leave you with a final personal example. The church I’ve attended for years is relatively small, with about 80-100 families making up the congregation. Like most small churches, they don’t have a large budget and the majority of the money they receive from members is almost immediately distributed to its efforts to fund new churches, support international and local charities and carry out mission work. From the first day I walked into the church to this day, the church has communicated its core message as a church that sends changed people into a changing world. The message, its brand, is communicated in strategic planning meetings with key staff, through signage around the lobby and sanctuary, in bulletins distributed every Sunday, through mission work carried out by its members, on its website, in its email correspondence and even in the name of the church. I can’t think of a better example of branding by a small organization. Once you understand what branding is all about, sometimes it’s still difficult to know how to get started. It usually requires a zero-based assessment of your employees, customers and competition, an analysis of your current perception in their eyes, a hard look at your organization’s mission statement and how it may need to change. If your mission is the same, then you’ll need to figure out how to change your strategic goals to accomplish your mission in a rapidly-changing world. After your message is defined, it should be communicated consistently through your updated website, your (likely, new) logo, your social media presence, the way you work, the way you play and the way you interact with your community. If you have questions about branding your business, Swift Solutions has years of experience providing top-notch marketing services to its clients. Please feel free to give us a call, shoot us an e-mail or schedule a meeting with our staff. We’re passionate about the services we offer and we’d love to share that passion with you. If you missed Branding, Part1 click here to catch up. Denise is the Director of Marketing for Swift Solutions. With a degree in public relations, she is a published author and produced screenwriter who enjoys all types of creative writing.